Product prices and availability are accurate as of 2019-04-17 18:30:43 EDT and are subject to change. Any price and availability information displayed on http://www.amazon.com/ at the time of purchase will apply to the purchase of this product. 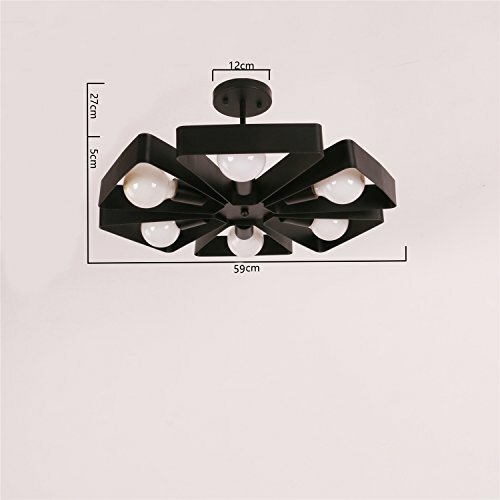 This flush mount ceiling light is provided by Unitary Home World. 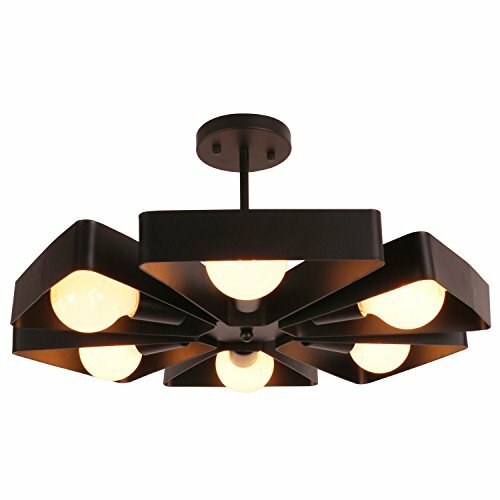 We are a professional lighting manufacturer, and ensure that provide you the best quality and the most abundant category of lighting products. All products in factory have to undergo a rigorous safety monitoring, so you can use them safely. 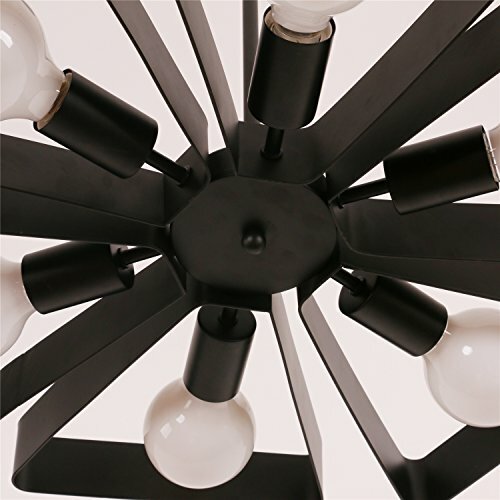 The diameter of the light is 23.3 inches, height of the light is 12.6 inches. The voltage of this light is 110-120V,if you need 220-240V, please contact us. 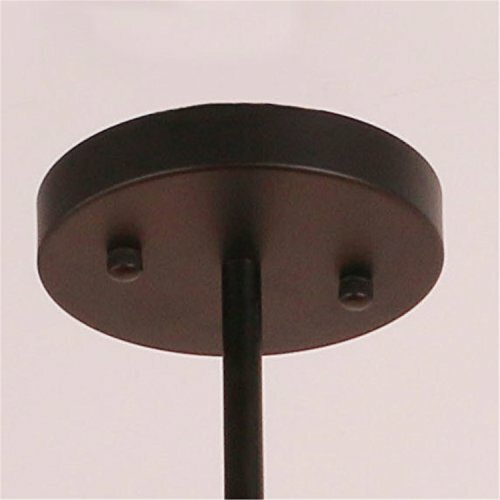 There is 6 E26 bulb sockets, the maximum compatible wattage of one bulb is 60W. So the power of item is 6*60w=360w. (bulbs not included). High quality,2 years guarantee. Installation type:Hardwired. Product Dimensions:23.3x23.3x12.6 inches.Suggested Space Size:20-25 Sq.m.It's the perfect light fixture to install in kitchen,dining room,living room,foyers and more. Voltage:120V for North America.Max. Power:360W Bulb not included. Materials:metal. Color:black. Style:traditional,antique,rustic. 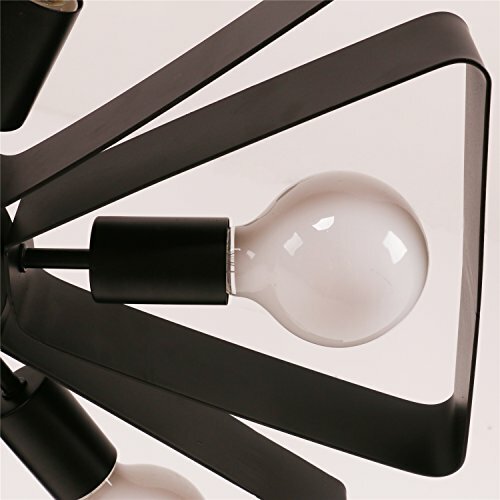 If you want to have more lightings to choose,please click our brand name"Unitary "which is under the title.Welcome to you!Thank you!